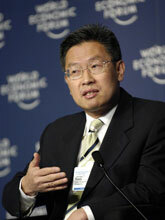 James Riady is the CEO of Lippo Group, one of Indonesia’s largest conglomerates with annual revenues of some $3 billion. The Group, among the most active property developers in Southeast Asia, has expanded into China and Hong Kong and plans to invest $10 billion over the next five years in the Asia Pacific region. It also has interests in media, telecommunications, retail and health care. Fifteen years ago, Riady was responsible for the establishment of Universitas Pelita Harapan in Indonesia, and he has a strong interest in the social impact of business. During an interview with Knowledge@Wharton, Riady explained the lessons he has learned over the years from successes and failures in business and politics. Knowledge@Wharton: For the past year, the global economy has been struggling through an unprecedented economic and financial crisis. How did the crisis affect Indonesia? James Riady: It affected everybody. It affected the whole financial system. But it affected Indonesia less because [we] always valued more stable growth rather than growth in a more liberal sense. Indonesia has benefited from that. It always maintained a very conservative macroeconomic policy. Indonesia now has become the darling of Asia. Knowledge@Wharton: When the crisis hit, how did the government of President Yudhoyono react? And how did the measures succeed in improving the economy? Riady: When the crisis happened, the most important thing was our culture of responsiveness. Many people looked at the crisis and did nothing about it. [They] went into denial, [hoping] that things [would soon] be behind us. But Indonesia always had a culture of responsiveness. The country took measures quickly to make sure that the financial systems were stable, continuing to maintain the trust in the system and then quickly corrected whatever financial imbalances there were. The government was quick to go around the world to work with central banks — with China, Japan and so on — to gain liquidity and standby credit lines. To be at the forefront, in a community talking about [the crisis], made Indonesia different from other countries…. Knowledge@Wharton: How have the banking and real estate sectors been affected? As you know, worldwide these were two sectors that took a big hit. Riady: The banking sector is the barometer of the whole economy, especially during this last crisis. The banking sector got hit the most. But fortunately for Indonesia, our banking sector went through consolidation and restructuring [following] the 1998 [Asian financial] crisis. All the banks were audited by the [International Monetary Fund] at that time. As a result, they were all well capitalized. Indonesian banks entered this crisis in much better shape than other banks. The average loan-to-deposit ratio for the banking system entering the crisis was 56%. It had the liquidity. Knowledge@Wharton: What kind of strategies did the Lippo Group have to adopt to cope with the crisis? Riady: For Lippo, again, the whole concept of responsiveness is very important. At Lippo, we agreed in times of crisis, you need to serve the customer better. That’s the most important thing in a service industry — in an industry where your basic commodity is trust. When you serve [customers] better, they support you. So that’s what we did. If you entered the crisis in bad shape, there would have been very little you could have done to come out of it in one piece. 1998 forced a lot of companies, and Indonesia as a whole, to be more disciplined. The crisis was a blessing in disguise. Knowledge@Wharton: Your family has been active in business for generations. Could you share some of that background? Riady: My father [Mochtar Riady] is a senior banker. He’s probably the most senior banker right now in Indonesia and he has always believed that in life we must contribute to nation building and to society by generating economic growth, investments, jobs [and so on], while at the same time, support social causes — and we do that through education and health care. That has been a tradition. Through hard work and sensible management of our companies, we have come this far. Knowledge@Wharton: It was your father, who after founding The Lippo Group, sent you to the U.S. to build the operations here. Could you tell us about your earliest experiences at trying to build a business in America and what challenges you faced? Riady: There are three parts to my U.S. experience. The first part was when I graduated, then I trained as an investment banker in New York and [after that] I went back again. Those experiences were invaluable. It allowed me to see the world because New York is the financial capital of the world. The second time around, we started to build a base here in the U.S. I learned a lot the second time. But it was at a time when America was going through a deep crisis in the 1980s. And at the same time, we underestimated how mature the U.S. market was and how intolerant the U.S. system is for mistakes. Riady: In the sense that in a developing and growing economy, you can afford to make a lot of mistakes. You come to the U.S. thinking the same way. The American system is — how do you call it — ruthless. You cannot afford to make mistakes. My experience that second time was more about failure than success. I made a lot of mistakes — and lost a lot of confidence. But through all the mistakes, I learned the most valuable lessons in my life. I learned the kind of discipline — regulatory, market and so on — that was invaluable when I went back to Asia and went through the next phase of our group’s development. What I learned the second time I came to the U.S. from the American banking system built a stronger foundation for our banking group — our whole group — which helped us withstand the 1998 crisis. Knowledge@Wharton: What would be an example of a mistake that you made and what lessons did you learn from it? Riady: We started setting up businesses — in property development, for instance — thinking there’s a lot of growth, that you can always create demand and so on. The reality is that America is a much more mature market [than Asia]. Now, Asian banks have been used to loan-to-deposit ratios of well over 100% — in Indonesia, 135% was normal. Well, the American system had a much healthier, stricter banking regulatory environment. The minute your loan-to-deposit ratio gets above 70%, [the regulators] call you up and ask what you are doing…. As a result, I said our own banks must be at a loan-to-deposit ratio of a maximum 75%. That helped us survive the 1998 crisis. Knowledge@Wharton: In recent years, in addition to your traditional businesses in banking and real estate, you have had a tremendous focus on education — for example, with the opening of Putian University in China. What prompted this initiative and what do you hope to accomplish in this field? Riady: We saw a great boom in the economic development of Asia between 1975 and 1995. Over a 20-year period, Asia saw tremendous growth. And it continued in spite of the necessary corrections in 1998 and 2008 and so on. But despite so much wealth being created, it is not sustainable because there are a lot of gaps in our society –between the rich and poor, the educated and uneducated, the healthy and malnourished, infrastructure and lack of infrastructure. It is just a matter of time before things fall apart. It’s not sustainable. The key is education. We felt that as part of our [corporate social responsibility plan], we must support education. So we built schools and universities that have that vision in Indonesia, Singapore and China. Knowledge@Wharton: Over the course of your career, you have known and worked with several business and political leaders. Which leaders have had the most impact on you and why? Riady: I have been very blessed by my father. He is an outstanding banker, a very experienced and wise man. But I have been greatly influenced by an investment banker called Jack Stephens. I spent my earliest years as an intern and training at his investment bank, Stephens Inc. I learned the investment-banking mentality of understanding value and value-creation. You have to understand the markets. That had a profound impact on me. And, also, my church life has had a huge impact on that whole concept of stewardship. In the beginning when you go into business, making money is the goal. But over the years, I’ve learned that you should work hard, make money and create value, but not as an end in itself but as a means to bless society and become a blessing to the communities around us. But if there were one person [who influenced me the most], it would have been Jack Stephens because he instilled in [me] what business is all about. Knowledge@Wharton: What are the most important qualities of a leader? Riady: A leader needs to have a vision, because at the end of the day, the vision must drive the organization. It must drive people. And a strong vision attracts people like a magnet and gets people to make changes in the community. But it’s not just about having a vision. [It’s also about] having humility. That’s very difficult. The more successful you are, the more you face the temptation of being egoistic and full of pride. It’s also about having the heart to serve, to do things not for yourself but for others. Those are the three things: vision, humility and the ability to serve. Knowledge@Wharton: Another crucial quality in many leaders is resilience. You referred to some of the failures in the U.S. and there was another example of a setback during the 1990s when fines were imposed on you. Could you tell us what lessons you learned from these experiences in terms of resilience? Riady: I was very fortunate to have known a lot of high-powered business and political leaders in my life. What I learned is that money and power are both a blessing and a curse. Yet when I went through business school and so on, they didn’t teach you that. They just teach you one side of the coin — that money and power are a blessing [and] that’s what you should aim for. But I learned, and at times the hard way — including in 1996 when I had to face the reality that business and politics do not mix. It does not mean that you do not interact with politics, but you don’t try to get in. Since then, [I have been] trying to be wiser and remind myself that money and power are both a blessing and a curse. Knowledge@Wharton: What is your greatest success and your greatest failure? Riady: There’s a Chinese saying that you have to wait until the last nail of your coffin is nailed before you can say that. The biggest failure is continuing to struggle for humility. The biggest success is to grow in stewardship. I believe that perfection is not being an angel, but having the right direction, the right motivation. Especially in the last 18 years, there has been a huge change in value system in my life, which puts relationships above material things. The most exciting thing in my life is to support education and be involved in education and healthcare. The things we are doing in education and healthcare is transformational. I’m very proud of that. Knowledge@Wharton: What are examples of what you are most proud of that you are doing in education and healthcare? Riady: I was not born into and did not grow up in a particularly educational environment. But it wasn’t until when I went back to Indonesia in 1978 with my four children, who grew up in the U.S., and I had to look for schools for them that I realized that we do not have top schools in Indonesia that I would consider putting my children in. There is a great deficiency in education in Indonesia. I set out to contribute something, to make a change. So we set up the non-profit called [Pelita Harapan] Educational Foundation and started building schools and universities. Today, we have 20 schools and one university, which have transformed Indonesian education. We introduced an education system that is not [based on] rote memorization [but the] creative process of learning. It’s not about knowledge; it’s about the process of learning. We wanted small class sizes, and a holistic education that gets students to develop all parts of life. We don’t just want to have good schools. We want to have model schools that other schools look at and want to copy. For the next generation, our schools hopefully will be a [role model] of what good education is all about, what good schools are all about. It’s exciting because that’s transformational. We started paying teachers salaries that they deserve, increasing salaries three to four times [more than what they were earning] over the last 15 years and so instilling in the community that education has a high value. In today’s modern society, there has been a shift. People do not respect and value teachers as much as they should…. I hope that when I finish my life that the biggest impact I have made will be in education. Riady: When you die and are in your coffin, what do you want people to say about you? That defines what you want in your life. For me, the highest, most beautiful thing that people can say about you when you die is that you have been a man of God, that there has been clear evidence that you have lived a Godly life. That does not mean that you are perfect or are a saint. It just means that you have the right direction. A Godly man automatically means that you love your family and your society, that everything you do has a purpose beyond material issues, and that you want to make a social impact. Ethics and morality are important.